Ok, I was pissed-off the other day. Have forgotten the reason why, was just pissed. So, I went to a local Hamburg Pub at night. Hoping to meet someone I could talk to. Came the time I went for a piss. On the toilet just above the piss pot I found some poetry written on the wall. Ok. Not all of it was fine poetry in the strictest sense. 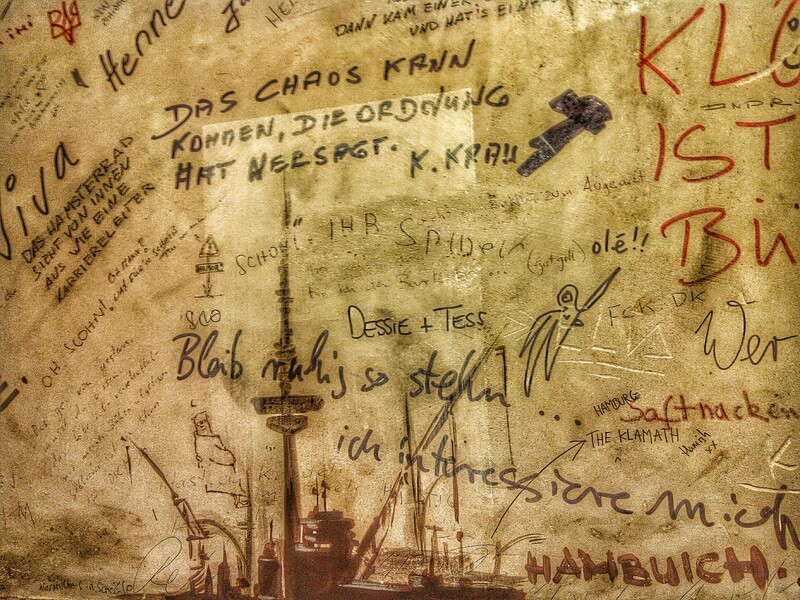 (And of course it was in German, as it’s a Hamburg Pub). I found a certain wisdom in these words.